Two weeks ago a Jew named Seth Rich (pictured, above and below) was walking alone on the streets of Northwest DC at 4:20 in the morning. He lived nearby. It was a neighborhood where well-off Whites and Jews are starting to move in and beginning to displace poor Blacks. 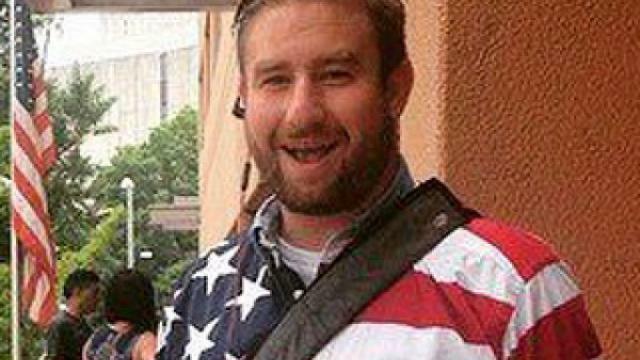 Seth Rich was not only a Jew, but he was a particularly virulent example of the breed — a Democratic Party operative whose passions were disarming White Americans and organizing Blacks into Democrat cadres and making sure they voted — and voted correctly and often — on election days. This is called “working for voting rights” in today’s Newspeak. That morning’s walk was Seth Rich’s last walk anywhere. He was fatally shot multiple times by an unknown assailant and left on the street in a pool of his own blood. And in Washington, DC, when White-appearing people are shot in the streets by “unknown assailants,” those unknown assailants are almost invariably Black. It is a virtual certainty that Seth Rich was shot dead by one of the beloved African-American “equals” he was working to empower and “help” by registering them to vote, making sure they were conscious and had some helpful transportation and “instruction” on Election Day, and the like — one of the “equals” whose vote would cancel out yet another vote of the hated Whites. True, the killer has not been caught. But he is almost certainly Black. Rich was walking in an overwhelmingly Black section of an overwhelmingly Black city, a city where almost all of the shootings are committed by Blacks. I would estimate that the chances that Rich’s killer is Black are well in excess of 99 per cent. It’s also interesting to note that the DC Water Department apologized after the killing for its current construction and repairs in the area, because its noise shields, temporary walls, and earth-moving equipment provided “dark spaces” where dark animals can hide while they lie in wait for their prey. What kind of society are we living in where the mere presence of shade and shadows can be blamed for murders and assaults? The DC Police are offering a $25,000 reward for information on Rich’s killer or killers, about whom they have not even a single clue — which is typical, really, of the incompetent, jaded, and racially-mixed force in that sad, murder-happy capital city of the Jews’ Evil Empire. What we do know is this: Rich’s arms and knees were bruised, indicating that there was a struggle or at least that he was knocked to the ground and beaten before he died. Neither his phone nor his expensive watch nor his wallet were taken, which seems odd, and which has encouraged some of the more conspiratorially-minded to assert that this was a political “hit” and not a botched robbery. But it’s really not so odd when you consider that a police patrol was close enough to hear the shots and responded immediately — and that Congoid killers are better known for high-speed flight than they are for bravery. We also don’t know that Rich wasn’t carrying other things of value that were stolen. So I doubt that Seth Rich had too many illusions about the angelic qualities of the Negroes he was “helping.” His choices — his choice to live in that neighborhood — and his choice to walk alone on its streets in the hours just before dawn — are probably more reflective of Jewish assertiveness and over-the-top lack of restraint than they are of any real belief in “racial equality,” a pathology that is almost limited to Whites. Nevertheless, the Blacks who likely killed him would not have cared that he was “really Jewish” and a fellow “fighter against White racism” and they certainly never bothered to ask. They never do. I am a peaceful man and I dislike violence and killing. The rawness of the racial hate created by multiracialism repels me almost as much as does the genocide by racial mixing which it also brings. I have devoted my life to preventing such violence and conflict and death by working to educate my people about the absolute necessity — and morality — of racial separation. But the Seth Riches of this world have worked to oppose me. I cannot applaud what happened, but it was inevitable. 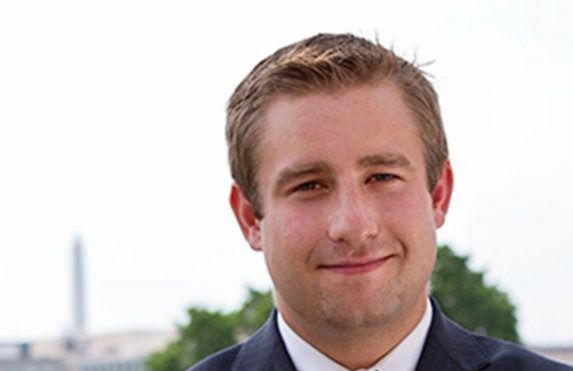 As “Director of Voter Outreach” for the DNC, Seth Rich was in the business of creating deadly weapons aimed at White people’s lives, and he was caught in a crossfire of his own making. Almost exactly one year ago, another such killing happened in the Washington, DC area, when a violent, out-of-control Black, Jasper Spires, knifed Kevin Sutherland to death on a Metro train. Sutherland was a politically-connected “liberal” “anti-racist” activist too, though a non-Jewish true-believing one. I am afraid that many more will die in like manner before our majority of will and determination sweeps away this rotten System and its lies. 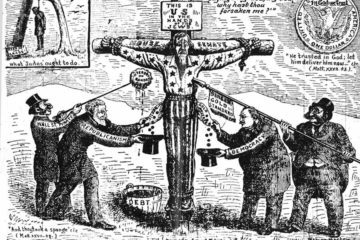 We racially-conscious Whites did what we could to stop the Jewish takeover and subversion of our old order. I hope we did our best. If we had prevailed then, many, many lives would have been saved. As it is, the blood of those who are dying now and those soon to die is upon the Jews’ heads and upon the heads of the White collaborators who imposed the death-cult of multiracialism on our civilization. And we must now look to the future, to the coming generations of our race. Let us shed a tear for the innocent victims, though remembering that not all are innocent. More than anything else, let us welcome the reassertion of Nature, painful as that must sometimes be, with a faith in our hearts that She is always right. Her actions will awaken our folk and prepare the way for the growth of the National Alliance. And let us work every moment of our lives to hasten the day when our New Order will prevail over all. Like Nature, justice also reasserts itself from time to time — and in our dark age it is a delight to get good news. Today we received news that the illegitimate NARRG group’s lawsuit, designed to turn over our National Alliance to a court-appointed “receiver,” has just been dismissed with prejudice, meaning that it cannot be reinstituted. 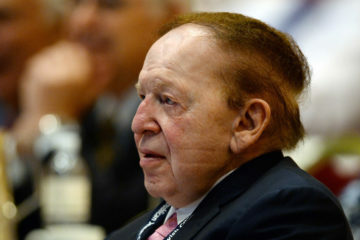 The NARRG grouplet, which has recently joined with Jewish organizations and operatives in its efforts to destroy the National Alliance, will probably not stop its attempts to cadge donations from the well-meaning dupes who send it money, but their lawsuit is now dead, dead, dead — unless they can convince the Virginia Supreme Court to hear an appeal; a very unlikely outcome, especially considering the earlier ruling of the court that the grouplet had no standing to sue in the first place. National Alliance Chairman William White Williams wrote today: “The NARRG lawsuit against the National Alliance came to an abrupt close this afternoon in a Virginia courtroom when the judge dismissed the case with prejudice. It’s over. The judge allowed that NARRG has 30 days to appeal, but the consensus of our attorneys is that the Virginia Supreme Court is unlikely to even look at such a weak case. What will the NARRG losers do now? Looks like they will back another bogus lawsuit, this one brought by John McLaughlin against the National Alliance a week ago.” But that lawsuit is a guaranteed loser — almost a cut-and-paste rehash of the failed suit by NARRG, prepared by an associate of the NARRG attorney, and adding the cloud-cuckoo-land delusional claim that the clueless McLaughlin is the “Chairman of the National Alliance.” The addition of the NARRG losers as allies can’t help. The addition of the seriously deranged rantings of the SPLC’s female asset and NARRG ally Corse won’t help either. Or perhaps I should say that these things will help the cause of justice. On some days, the Sun just seems to shine brighter and the air brings the scent of wildflowers from distant hills. When I was a young man I too disliked violence of any kind. I felt that the facts – truth and logic would always win the battle. However I was wrong – dead wrong. I now know that violence is the purest logic of all. Here I am not talking about mindless violence – rather I am talking about well-planned and well-executed violence – violence with purpose. For those who have not read the book by Maurice Samuel entitled “You Gentiles” I strongly recommend that you read it, and I mean really read it. In his day Samuel was a Jews’ Jew. He was widely read by Jews and ‘wannabe’ Jews alike. In his book he tells his fellow Jews why the gentiles will lose the battle for dominance of the earth. In his view, and I am in total agreement with it, gentiles behave by a code of honour that they extend to all races. 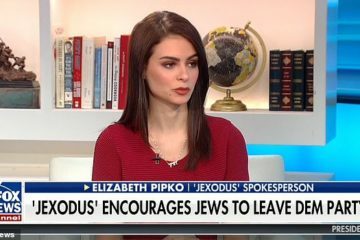 The Jews on the other hand do only what is best for the Jews. When they seem to be working for the best interests of other races they really are not – and I do not need to elaborate on why the Jews promote multiculturism – even a blind man can see through that ruse. When you get a Jew down you keep him down, even if it means kicking, stomping and ‘moon-walking’ on his skull. Forget the old ways – the Marquis of Queensberry rules have no place in the coming battle. The Yid – Seth Rich – got a good lesson, one that is well-documented in their story book called the bible. In college when an obese, autistic, severely neurotic, coke bottle-glasses wearing Jew found out I was a racist, he screamed at the top of his voice, “I can’t believe what I just heard!” Now I know the truth. Not only could he believe that I believed it, he believed it too.